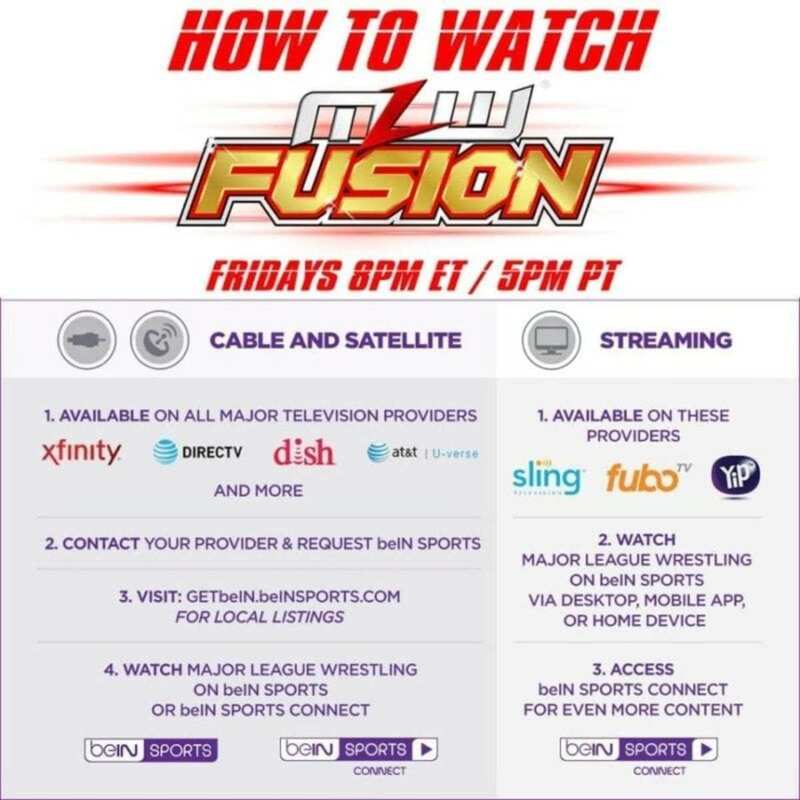 Tonight on FUSION it’s all about infinite swagger with a stacked line-up including a double main event and TWO debuts! All American vs. Olympian: Jake Hager looks to make a big statement in his debut as he takes on the “Hawaiian Hulk” Jeff Cobb in a clash of 2 great grapplers. Rich Swann debuts! “Rich Money” looks to make a big splash as he steps into an MLW ring for the very time and does it in prime time on beIN SPORTS! The Bad Boy vs. The Worldwide Desperado: What happens when two of today’s elite brawlers collide? Find out as Sami Callihan continues his march up the top 10 rankings as he fights “Bad Boy” Joey Janela with Aria Blake. MLW Top 10 is out! Who made the cut for the June edition of the top 10 as voted on by promoters around the world? Tune in to find out! EXCLUSIVE: A backstage verbal confrontation between World Heavyweight Champion Shane “Swerve” Strickland and Salina de la Renta went down and MLW has the footage. See it for the first-time TONIGHT! How is Maxwell J. Friedman coping with last week’s scandalous locker room incident? Sources say he’s drowning his disgust in expensive champagne.